Get ready to step into the adventurous world of Seven Seas in our Pirate Millions super slots at Gogbetsg.com. The slot was made with the theme of the fantasy swashbuckler movie ‘Pirate of the Caribbean’. 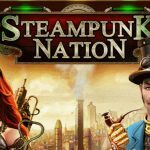 This adventure-laden game is the biggest money spinner out there that you can find. Follow the Pirates on their hunt for treasures in the most foreboding islands imaginable. Throughout your travel in this ocean-wound, You will be able to catch the most incredible treasures with the jackpot prize valued at $8,888,888. Imagine you win this massive jackpot! The comic-books styled slot puts your mind in piece from the get go, just sit back relax, enjoy fresh ocean mist while waiting for the giant jacpot combination to come. 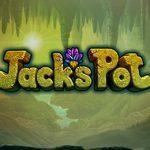 Just like other slot game, this slot offers 5 spinning reels with 25 paylines. But a special thing about this game is that you can customize the number of lines you would like to play with. Your bets go from just $0.10 and go up to $2 units per coin; the maximum that you can spin for 1 turn is $50. The winning chance is pretty high when the symbols land between 2 and 5 times on the spinning reels from the left to the right of the reel. 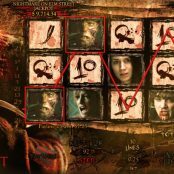 Other symbols you can find in this spectacular game include the Pirate’s log, the skull, muskets, and the compass, the telescope, crossbones, the pirate ship scatter symbol, the islander, the parrot bonus, etc. You’re about to embark upon an adventure of a lifetime to win the biggest jackpot of $8,888,888! These Pirates are a menace yet entertainment at the same time – nothing to fear of these merry bandits. All of the accoutrements are always there to help you including the compass, the telescope, the treasure map and of course your deckhand. The Pirate Captain is the most valuable with the spinning payout up to X 5,000. Symbols with a little lower value but higher chance to come up include symbols the Cutlass, the Pirate’s log, Jolly Roger, the compass and the telescope. 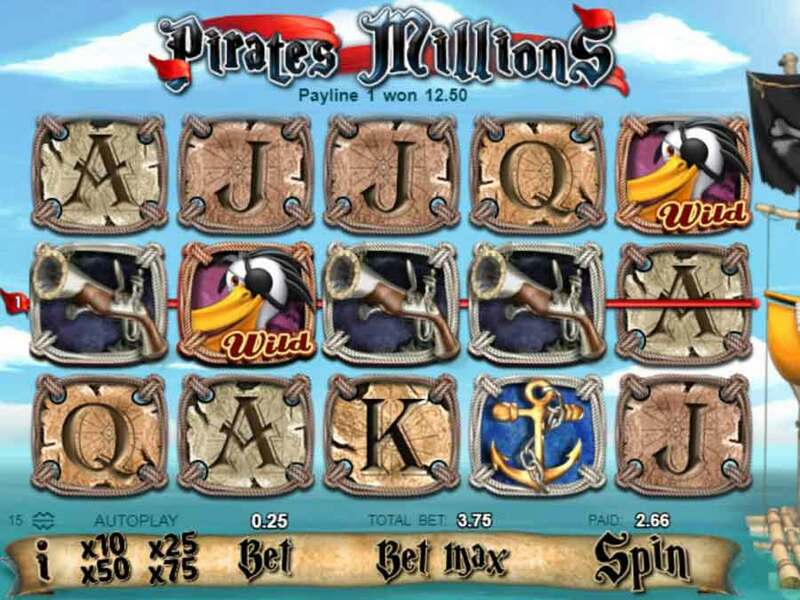 Many winning combinations make Pirates Millions one of the most popular in GOGBETSG.com. Hit 3, 4 or 5 parrot symbols, on any spinning reels to activate the galleons gold bonus. Don’t forget that there is an hoping adventure in which will bring you to find your way back home. The second island is guaranteed but also risky, one wrong move can sink your hope for the jackpot. After the third and the final island, reach out for your mega prizes. The Wild Symbols are featured by the Treasure Casket. 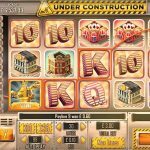 If you make 5 wild symbols into a paylines, you can right away reach out for the giant jackpot. There is nothing that can make the pirates as happy as a bunch of gold. Hesitate no more, start your adventure to be a millionaire with Pirates Millions right now at gogbetsg.com. Our customer service can help you cash out your prize in 5 minutes at any time of the day. 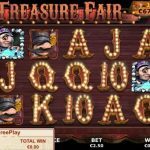 This entry was posted in Blog, Casino and tagged Pirates Millions, Pirates Millions slot game, slot game sg. Bookmark the permalink.